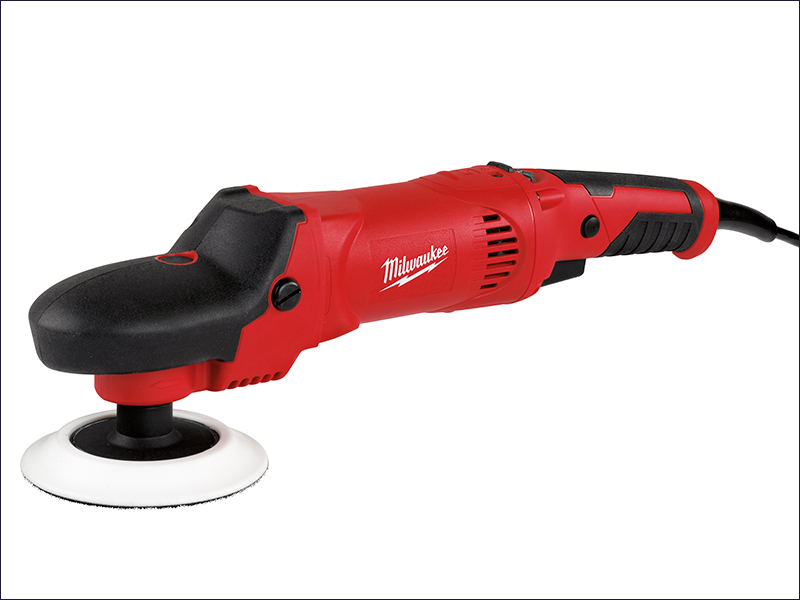 Milwaukee AP 14-2 200E 200mm Polisher has a powerful 1450 Watt motor for best performance in all applications. High torque gears for the best performance and no speed drop in low speed applications without overheating. Has variable speed selection from 490 to 2100rpm for various applications. The speed settings are located on the top of the motor housing, for convenience. Has thermal overload protection to prevent overheating, and a lock on function. Has a protected spindle lock button and a special finger grip area on the front providing additional secure grip. Uses the unique flexible and soft hook and loop backing pad to prevent scratches on paint during work and the 6m long PUR card to prevent marks on the paint. The Milwaukee AP 14-2 200E 200mm Polisheris supplied with a Dyna Case.